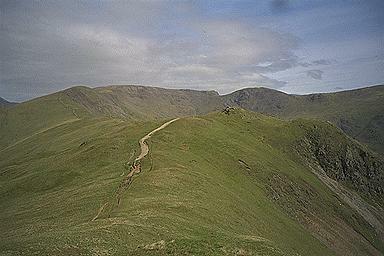 The path here is going to Heron Pike's northern summit from the southern. Beyond from the left are Great Rigg, Fairfield and Hart Crag. Larger version of this picture.